If, for any reason whatsoever, JointShield does not live up to your fullest expectations, simply call or email us, and we will give you an immediate, courteous and full refund, including postage. You need not even return any unused product. JointShield is only available direct from Uni-Vite Healthcare Ltd on a world-wide basis. We do not sell through retail stores. To order JointShield along with other Uni-Vite products from our online catalogue, click here. Each vegetarian JointShield caplet contains 300mg of Curcumin, 50mg of Boswellia serrata (20% AKBA) and 300 mg of Glucosamine Hydrochloride, plus vitamins D, K1 and K2 and added Lecithin and Piperine for enhanced bioavailability. It is delivered direct to you in bottles of 60 caplets. This is sufficient for 30 days’ supply at the normal dose. However, you may benefit from an initial dose of 4 caplets a day – taken as 2 caplets twice a day. Our customers are loyal for a reason. Many have been with us for 5, 7, 10 years and more. These are their freely offered comments taken from a recent survey. They are individual views expressed by the contributors and not by Uni-Vite Healthcare. Opinions and results may vary from person to person. I had been in continual pain of varying degrees for some time and after taking JointShield there was a marked improvement. 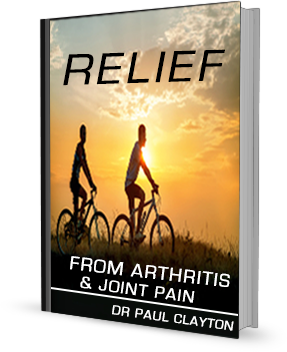 Excellent – arthritic pain considerably reduced. I have recommended it to friends. It works! It appears to be assisting the continued right shoulder degeneration which is what I had hoped for. It has always helped me to feel pain free. It was good, but then I added Nutrishield and the combination is noticeably effective. Excellent results – although I was a bit sceptical at first! Has helped me enormously, especially in the early days. The benefits are long-term rather than short term – but I am impressed.